Jason Mraz’s biggest hit to date is a true feel-good song. 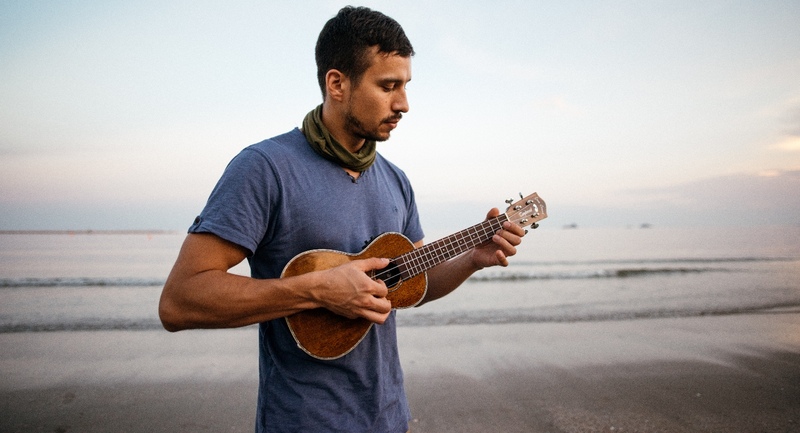 It has a relaxed reggae-influenced groove with the rhythm guitar playing off-beat chords, an accompaniment style that suits the ukulele especially well. 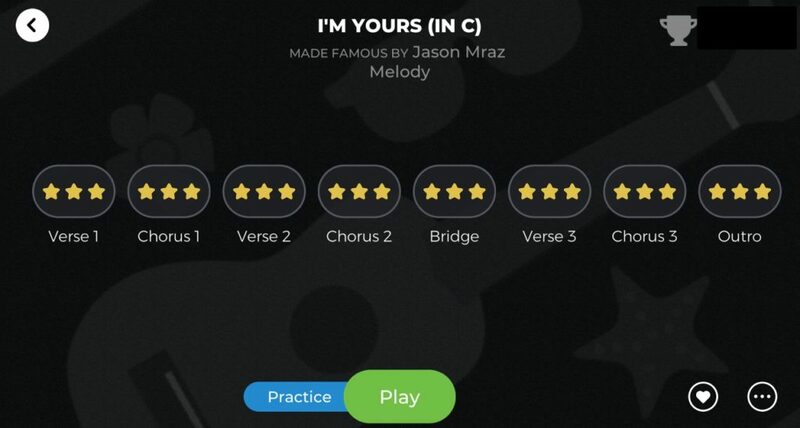 “I’m Yours” is now available in Yousician for Guitar, Piano, Bass, Ukulele, and Voice. In the melody exercise (level 4), you will be playing a combination of simplified lead vocal part combined with the most important instrumental passages. You will be practicing two important core skills: being able to fret notes with four fingers of your fretting hand from index to pinky using the “one finger per fret”-rule, and changing fretting positions during the song. The exercise moves back and forth between the 1st and 2nd position, which means that you position your index finger on the 1st or the 2nd fret. In the chords exercise (level 4), you will be strumming off-beat chords, all downstrokes. During the verses and choruses, you will be playing the same 4 bar chord progression of C, G, Am, F, which is most of the song. This makes “I’m yours” an excellent platform for trying out playing by heart. On top of the verse/chorus chord progression, you only need to learn the chord progression of the bridge, and then remember to add a D-major chord at the end of 2nd and 3rd verses, and you’re ready to strum away. Also, if you happen to have a friend with ukulele, you can have one of you playing the melody-part and the other one strumming the chords. Time to have fun! !